What a pretty plant. From the picture, the leaves look almost velvety. 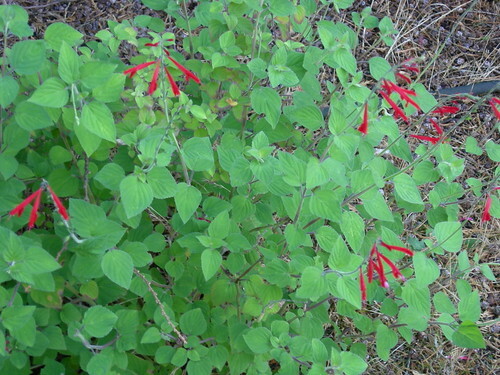 We use the pineapple sage in iced tea… wonder how the tangerine sage would taste in there… hhmmmm…. What a wonderful plant GW. Fragrant foliage, hummingbird attracting flowers…sounds like a winner!